Many questions arise when viewing demos of this nature. Often the suggestion is that its faked or the students have been conditioned to react by subtle cues from the teacher. A reasonable person might ask why? what would be the point? To answer the first question we must understand what a wave is. What makes a wave and why its different then other modes of energy transport. “The principle of superposition of waves states that when two or more propagating waves of same type are incident on the same point, the resultant amplitude at that point is equal to the vector sum of the amplitudes of the individual waves. 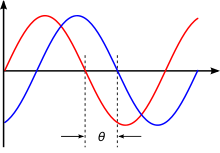 If a crest of a wave meets a crest of another wave of the same frequency at the same point, then the amplitude is the sum of the individual amplitudes—this is constructive interference. Which as in the clip, elicits many of the reactions due to what is felt, question by those looking at it, as to what is seen.